The dream of a perfect dressage horse: It exhibits lovely, elevated movements, aims to anticipate the rider’s thoughts and it seems to glide through the arena as if by magic. But how to accomplish this goal? A sound and careful basic training is the most important basis for any horse’s successful development. 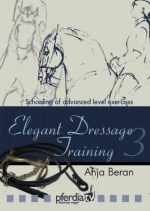 In the film “Elegant Dressage Training, vol. 2”, Anja Beran and her team show how they work with young horses. 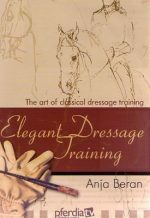 Following proper work at the lunge and a careful start under the saddle, the spectator can witness how first steps of lateral movements lead quite naturally to first steps of collection. Following the proper basic training, the horse has the necessary basis to continue with gymnastic exercises. 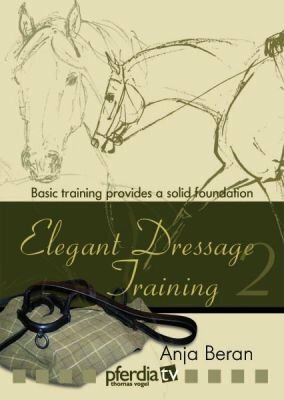 This DVD-series aims to develop and create a better understanding for the appropriate training, adapted to the horses needs. Correct riding contributes substantially to the horse’s health. Dr. vet. Matilda Holmer-Rattenhuber explains bio-mechanical aspects. Anja Ilona Beran has gone through all steps of classical equitation during her training with Manuel Jorge de Oliveira, pupil of the famous Nuno Oliveira. She trains horses of different breeds, from three-year olds up to high school movements.